There is much enthusiasm among investors for dividend stocks these days. Some of the enthusiasm may even be warranted based on studies that have shown that dividend paying stocks have higher returns than non-dividend payers even though dividend payers have a lower standard deviation. But there are also a lot of misconceptions about dividend payers. One widespread and persistent belief holds that Canadian dividend paying stocks should be held in taxable accounts to take “advantage” of the dividend tax credit. This belief is based on the fact that dividends receive the most favourable tax treatment for many tax brackets. For example, an Ontario resident with a taxable income of $50,000 will face a tax rate of 31% on interest income, 15.5% on capital gains and 13.4% on eligible dividends (Source: Ernst & Young 2012 Tax Calculator). However, simply looking at marginal tax rates is a mistake. One also has to consider that dividend payments are made regularly and hence taxed at the hands of the investor each and every year whereas capital gains can be realized when the funds are needed, often after very long holding periods. To model the tax hit an investor incurs due to dividend payments, I constructed the spreadsheet available here. The spreadsheet has the following variables: the total return from stocks, the dividend yield, the tax rate on dividends and the tax rate on capital gains. The model assumes that capital gains are completely under the control of the investor. 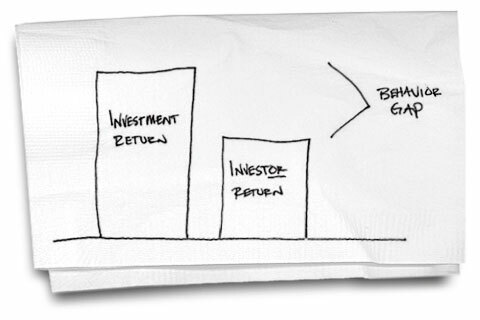 In reality, even the index fund with the lowest turnover will incur some capital gains distributions. Also, the rate of return and the dividend yield is assumed to be the same each year but as you well know, both these rates will fluctuate tremendously with changes in the level of stock prices. It is also assumed that the costs of assembling a portfolio of dividend payers is the same as that of tracking an index. As this is unlikely to be true in a real life portfolio, the model likely underestimates the effect of taxes on dividends. If we assume that stocks return a total of 8% over a 25 year period, a $10,000 investment will grow into $68,484. Such an investment held in a taxable account will net an investor $59,420 (capital gains rate of 15.5%). As a base case, if we assume that the investment pays a dividend of 2.5%, it will grow into $57,431 (or about 2% less). Observe that even though the investor paid tax on dividends at a lower rate, they ended up with a smaller after-tax return on their original investment. If the dividend yield were 4%, the investment would have grown to $56,282. At 6%, it would grow to $54,798 and if all the stock returns were through dividends, the investment would grow to just $53,368. It is an even worse decision for an Ontario resident with a taxable income of $100,000 to prefer dividend payers in her taxable accounts. In this case, the marginal tax rate on capital gains is 21.70% and 25.40% on eligible dividends. A $10,000 investment at 8% will grow to $55,793. If the dividend yield were 2.5%, the investment will only grow to $51,141. At a 5% dividend yield, the final amount drops to $46,990. Or look at it this way: a portfolio of stocks with a dividend yield of 5% must post total returns that is 0.40% higher than a portfolio of stocks with a dividend yield of 2.5% for an Ontario resident with a taxable income of $100,000 just to have the same after-tax returns. In a recent story that appeared in The Financial Post (See Big debt the downside of loading up on real estate), a tax accountant noted that a much larger proportion of his clientele own rental properties these days compared to a decade ago. It is a trend that I’m noticing in my circle of friends and acquaintances as well (with the caveat that my sample set is likely too small, unrepresentative or both). In the past, young families first purchased a starter home, lived in it for a few years and then sold it and upgraded to a bigger home to accommodate a growing family. These days, many families appear to opt to rent out their starter home when upgrading to a larger property. There are a couple of factors driving the trend of more homeowners turning into landlords. First, homeowners have built up significant equity in their starter homes due to the decade-long bull market in housing. Second, financial institutions have made it much easier to tap into home equity. For instance, the big banks used to allow lines of credit up to 60 percent of a home’s value less the mortgage balance. Today, the figure is 80 percent. Consider the following example: Sue purchased a home in 2003 for $200K, which is today valued at $350K. She currently has a $100K balance on her mortgage. Sue is planning on buying a new home for $500K and she has $300K in other financial assets such as stocks and mutual funds. Option 1 for Sue would be to simply sell the current home when purchasing the new one. She would have $500K in housing assets, $300K in financial assets and a mortgage balance of $250K. Option 2 for Sue would be to keep her current home and rent it out. The bank is willing to allow her to tap into her current home equity to the tune of $180K. In this case, she would have $850K in housing assets, $300K in financial assets and a mortgage balance of $600K ($280 on her first house and $320 on her new house). By dramatically increasing her exposure to the local housing market, Sue has taken on significantly more risk by keeping her starter home. Any downturn in housing prices will result in a much bigger hit to her net worth. Also, any vacancy in her rental property will put a serious crimp in her cash flow (at an interest rate of 4 percent and interest-only payments, Sue needs to net $933 every month just to break even). It may be tempting to chase real estate riches after extrapolating recent housing market returns but putting too many eggs in one basket is hardly ever a good idea. (1) Deadline for entries is 11:59 p.m. EDT on Friday, April 20, 2010. (2) One entry per person. (4) I treat your privacy very seriously. Your e-mail will be used for the sole purpose of sending you an invite for the event. (5) If I receive more than ten entries, I’ll pick ten entries at random for each of the three cities. (6) You will be responsible for any expenses incurred in attending the event.